Are you looking for a smart mortgage consultant and a company that really cares? You can count on me and Guaranteed Rate Affinity to listen and understand your needs. I’m committed to doing what’s best for you. Everyone has different financial goals. I will take the time to understand your needs and desires so I can recommend smart mortgage solutions. My team and I believe we can deliver smart choices because we are highly trained, and we understand the industry inside and out. As your consultant, I am backed by a dedicated team of loan assistants, processors, underwriters and closing specialists. We worked with Uvas to close loan for our first home. Due to my immigration status and working history, this is one of the very tricky cases and Uvas helped us greatly in the entire process. She is persistent, encouraging and and always keep us posted. I would strongly recommend Uvas for other clients! I have compared several lenders before we made final decision , when I talked with Uvas I am impressed by her professional manner : I am my wife are trouble maker :) we had endless questions day and night , Uvas patiently explain every questions on phone even very late evening . My contract need to close within 21 days , Uvas and her team put a lot effort to make it happen , can imagine how much extra effort needed to my cases . I will recommend my friends to Uvas for sure !! Uvas is very helpful and she always respond my questions in time. Also, she treats her customers like friends. I am lucky to have Uvas as my loan agent. Uvas is the best loan agent that has ever helped me. I have been looking for a mortgage with good rate for a long time, and she notified me immediately when she found out a good rate. She's always responsive during the entire loan process. She explained every detail of my mortgage carefully. She would reply my message in less an hour! The best thing about her is that she would even update and follow up when loan is reaching to an end -- I've worked with other loan agents too, and usually they just become not so responsive after loan is closed. She is a an awesome agent and I would definitely recommend her to you. Uvas helped us a lot with our first mortgage. She is very professional and responsive! We were so happy that we got our fist home closed on time before Christmas with her help. I'd like to strongly recommend Uvas to others :D .
Uvas helped me a lot during my loan process. This is my first time to buy a house in Bay area and I am not familiar with the loan process. She is very patient to answer each of my questions. She is very professional. When I cannot find some documents and some documents are not correct, she always helped me to find the right documents. She always gave me the feedback on time even during the holiday season. She helped me to find and solve the problems in advance and saved me a lot of time. Without the help from Uvas, my house cannot be closed on time. If I need the financial service in the future, Uvas will be my first choice. Uvas helped me get my first mortgage in the US. I really had an incredible experience with her. She is very careful, detail-oriented, and quite responsive during the whole loan process. Whenever I have any questions, Uvas will always be there, even during weekends/nights. Uvas tried her best to explore more flexibility for me and found the program that can best fit my situation. To those who want to get a mortgage with more flexibility, I'd definitely recommend Uvas to you and she won't let you down. Uvas is detail orientated and easy to work with. She offered us the best rate that we could find on the market. When the underwriter came back with a list of questions on our loan application, Uvas walked us through those questions in great detail. She was very knowledgeable and also very patient in explaining the specifics regarding what the underwriter is looking. With her help, our loan application went through smoothly and we were able to close a bit early. I had a very pleasant experience with Uvas. She is very proactive, on top of everything through the whole process. According to my situation, she found the best program she had for me and explained to me everything I need to know about the loan program and the process. She has awesome communication skills and largely reduced the friction between the underwriter and the borrower. I was a first time home buyer, while doing loan shopping I had compared many loan agents from banks and mortgage companies. Uvas was one of the agent that cares about your financing possibility and provide you options with details. I was about to start my loan with another mortgage company, but eventually picked Uvas at the very last minute because she is patient, accessible, and knowledgable. It turns out I made the right choice. 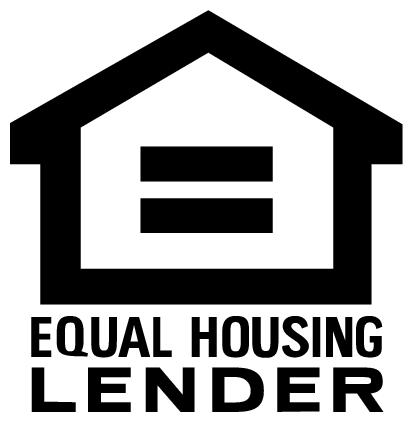 The entire loan process was very smooth, my financial situation was complicated and Uvas and I was making sure every step had been done correctly. I started my loan process about 2 days late after entering contract, and we are still able to close it a bit earlier. Without her instructional guidance, I doubt this would happen to me. Overall, I highly recommend Uvas, especially to whom as a first time home buyer. Super responsible, super professional, super experienced, and super patient. My case is one of the most complex ones if it is not the most. After another loan agent failed my case, I got contacted with Uvas and she made it with an acceptable rate and helped make my economic loss as small as possible. I am a first time homebuyer. Uvas patiently guided me through the whole loan application process. Furthermore, Uvas is very detail orientated and has helped me to gather all required documents to make the loan underwriting process an ease. I highly recommend Uvas especially if you are first time homebuyer as her professional knowledge goes a long way to help first time homebuyer to understand the loan application process better. Uvas is really helpful and she helped me a lot during my house loan process. She always get things done quickly, she helped me to finish my loan much earlier than the deadline. She is always very friendly and patient, she answered all my questions in detail ASAP. Thanks a lot for helping me in my house loan process! Uvas is able to handle my complicated case and gave me lots of professional advice as well as constantly update. She is very responsive and willing to pick up my call at midnight. Great financial advisor. Recommended. Uvas helped me a lot in the process of my house loan. It was the first time I apply for a house loan and I didn’t know how the process would be and what materials the bank need, she answered all my questions patiently and guided me through the process very professionally, and she considered a lot of things that can help me save more money. I feel very lucky that she is the one helped with my loan and I would strong recommend her service to my friends. Uvas is very responsible and helpful. She answered all my questions with details in short time. More ever, she went beyond to provide support to us and found the most suitable mortgage program for us. She is trustful, enthusiastic, and professional. 5 Star. will do the business again.Thanks! Uvas has done great job helping me. She is professional, she is also focus on helping me successful. I'd work with her again and recommend her to my friends in future. Uvas’s working attitude is the one you should be looking for, when dealing with a loan broker - she works fast and accurate to meet her client’s needs. Her professional skills made me feel confident throughout the whole proces. I highly recommend her! Uvas is so professional, patient, nice and careful! She could think the problem on clients side which make me so glad to work with her! That's great job to help us close the deal. Hard and professional working. Uvas is one of the best loan agents I've ever worked with. She's capable, responsive, and approachable. Uvas pays close attentions to details and is very reliable when it comes to the nitty-gritty details of the loan application. I've had a wonderful experience working with her and I look forward to refinancing with her in two years. Uvas is super helpful, responsive and patient! She works very hard to help the client. We had so many "incidents" on our loans, and she was always there to help, and mostly importantly, she always handled the issues with no problem. We were so lucky to have her as our loan agent. Definitely will recommend if you are looking for a good loan agent. Uvas is professional, hardworking and wonderful! She gets things done fast and she pays attention to details. Her in-depth knowledge in the field helped me approved my loan in 21 days. I would definitely recommend Uvas as she would find the best loan option for you and help you get the loan approved!